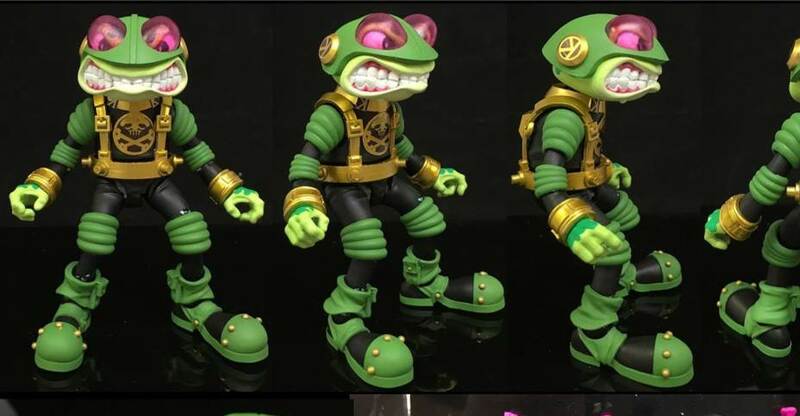 Pre-orders are live for the Bucky O’Hare Wave 3 – Storm Toad Trooper Figure from Boss Fight Studio. The figure is due for release in the Fall. The Storm Toad Trooper includes multiple interchangeable hands, swap out portraits, a hat, and a number of weapons. The figure is priced at $33.99, with a 2-pack also availabler at $64.99. Pre-order at the links below. 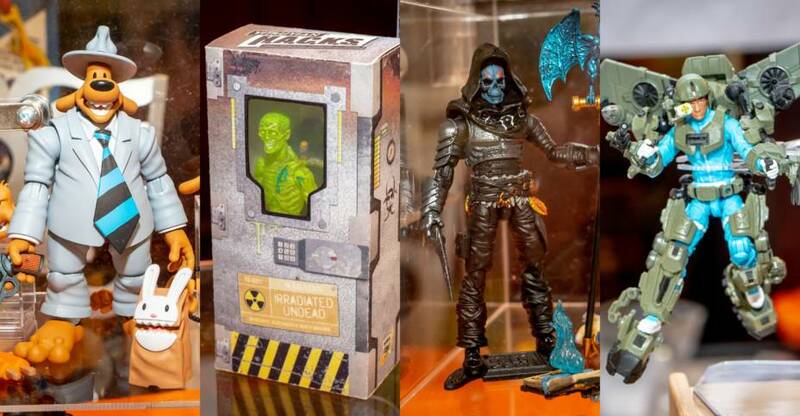 Boss Fight Studio at March NJCC – New V-Hacks, Bucky O’Hare, Mighty Steeds, Dream Concept Hellhounds! New Jersey Collectors Con had their Winter 2018 show this past weekend, and Boss Fight Studio was in attendance with new product from multiple lines! They had a wide array of Vitruvian H.A.C.K.S. figures including previews of Series 2 (Fantasy) Wave 4 and 5, carded versions of Wave 3 which is getting ready to drop, their basic figures and a painted prototype of the base horse from their upcoming Mighty Steed Kickstarter! 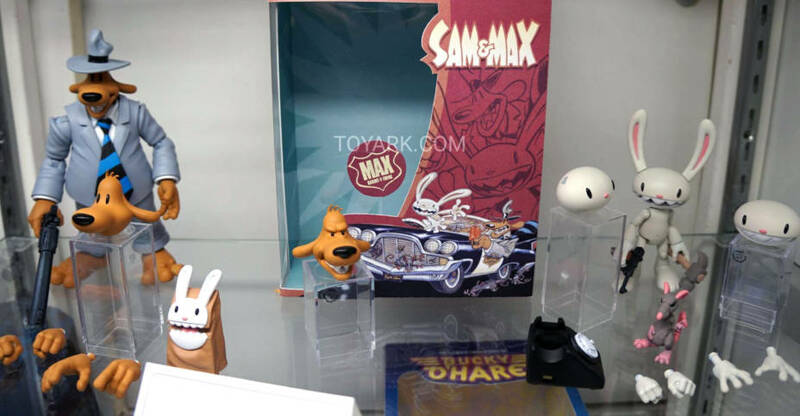 On top of all that goodness, final versions of the next round Bucky O’Hare figures were there including Stealth Dead-Eye Duck, Storm Toad Trooper, The Chocolate Bunny Holiday Bucky Exclusive, Dead-Eye & Lunchbox Exclusive, Aniverse Bucky Exclusive. 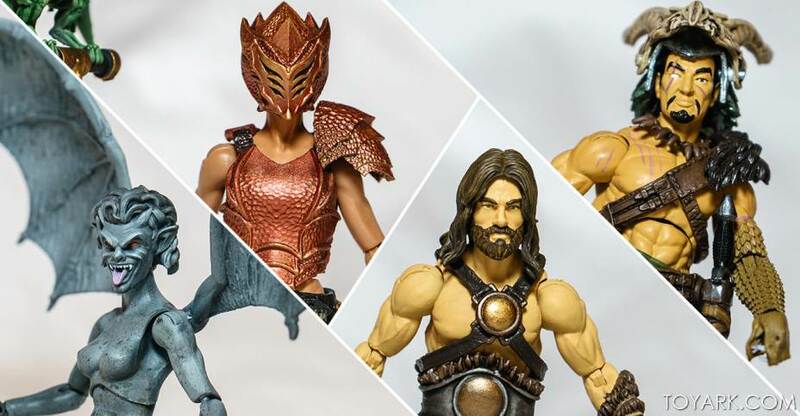 The figures which are out NOW (or will be very soon) were also there – Bucky, Jenny, Stealth Bucky, Astral Jenny, and Dead-Eye Duck. Lastly Dream Concept Studios sent along prototype samples of their next line called Hellhound. These are future-tech military style figures based on an original concept in the 1/18th scale. Read on to check out detailed images for all this goodness and a set of pics from their massive diorama showing off what the Fantasy figures can do! › Companies: Boss Fight Studio, Dream Concept Studio › Characters: Bucky O'Hare, Jenny, Dead-Eye Duck, Storm Toad Trooper › Scale: 3.75 Inch › Sub-Line: Vitruvian H.A.C.K.S. 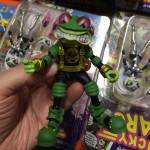 Boss Fight Studio has shared out a few new photos of their upcoming Bucky O’Hare – Storm Toad Trooper Figure. The figure will be part of their third wave of Buck O’Hare 4″ scale figures. The Storm Toad Trooper includes two interchangeable head sculpts, interchangeable hands, a removable hat and a nice assortment of weapons. Pre-orders for that assortment will go live some time next year. We’ll update with further details when they are available. Read on to see the new photos. All hail KOMPLEX! Grab your Toad Phlegm Laser Rifles! The Storm Toad Troopers are getting ready for deployment! This all-new figure is coming in 2018 to be added to your collection of Boss Fight Studio Bucky O’Hare action figures. Don’t forget about wave 2 – Stealth Mission Bucky, Astral Projection Jenny and Dead-Eye Duck – coming up for pre-order soon! 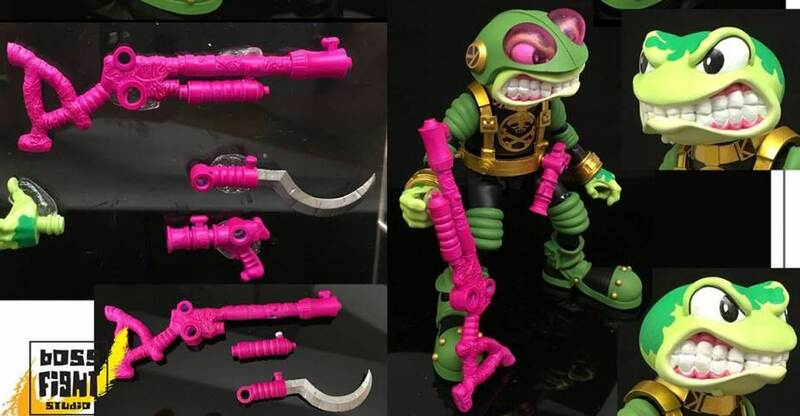 Check out a few new photos of the upcoming Storm Toad Trooper from the Bucky O’Hare action figure line. Boss Fight Studio shared the new in-hand images. The figure is still a work-in-progress and pending licensor approval. The figure will be part of their third wave of Buck O’Hare 4″ scale figures. Pre-orders for that assortment will go live some time next year. We’ll update with further details when they are available. Read on to see the new photos.